Suspect charged after fatal fight at South Philadelphia park. Watch this report from Action News at 4pm on January 10, 2019. 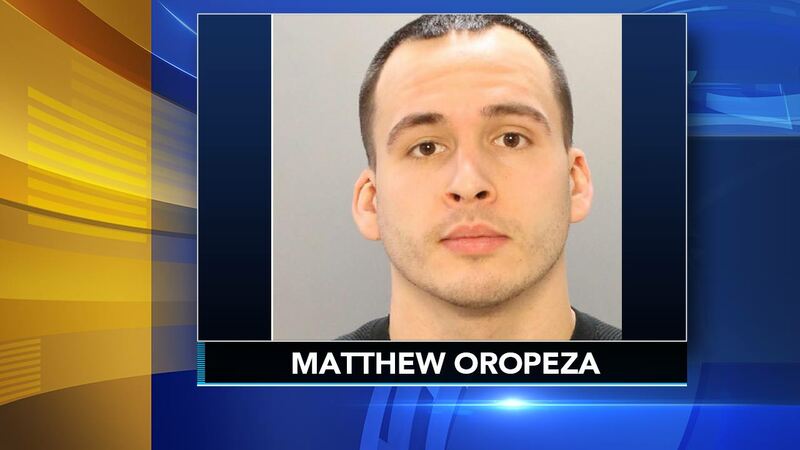 SOUTH PHILADELPHIA (WPVI) -- A suspect has been charged following a fight that left a man dead at a park in South Philadelphia over the weekend. Twenty-four-year-old Matthew Oropeza, of the 1600 block of South 6th Street, surrendered to police on Thursday. He is charged with involuntary manslaughter, simple assault and reckless endangerment of another person. The incident happened around 9:15 p.m. Saturday at the Gold Star Park off South Sheridan Street. Police say the 38-year-old victim and his fiancée were walking their dog in the park when the victim got into an argument with Oropeza. The fight turned physical and police say Oropeza punched the victim, causing him to fall backward and hit his head. Neighbors have said the fight was over the suspect allegedly having his dog off-leash in the park, which isn't allowed. Anyone with information regarding the incident is asked to contact homicide detectives.